There are few things in life that are a guarantee other than death and taxes. One of those rare aspects of life that is promised to all of us, is that when it comes time to move, whether you are upgrading or downsizing, you’ll will inevitably have junk leftover from said move. It not only happens to the best of us, it happens to all of us. When moving time comes, you come to a realization that a lot of what you own isn’t that important to you, useful or even practical. Those are the items that need to go. They aren’t worth moving to your new place. The problem is, how do you remove all the excess? The answer to the age ole question of how to get rid of leftover moving junk is easier than ever now! The Junk Bucket Dumpster! The Junk Bucket makes the entire process of getting rid of your leftover moving junk easy and in turn makes your move easier. Now if you have ever moved, you know that you would do whatever you could to make that stressful process easier. The Junk Bucket does that for you. With a handy Junk Bucket Dumpster outside your house, next to the moving truck, you can simply take everything out of your house and either put it in the moving truck to be moved to your new house, or take a few steps in the other direction and chuck’t into the buck’t! This takes away the stress of attempting to compartmentalize everything while moving. It takes the entire process and simplifies it. Streamline your move with a Junk Bucket! Other Incredible Ways To Use Junk Bucket Dumpsters! Moving is stressful and can wear on you big time. 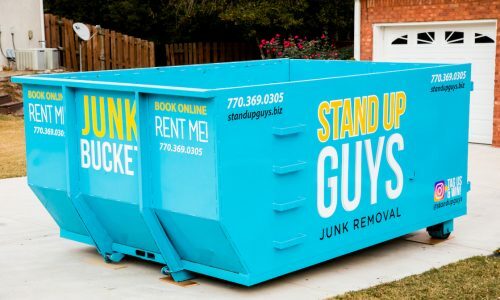 Good thing that’s not the case with Junk Bucket Dumpster Rentals! We make the entire process of ordering, filling and disposing as simple as can be. First, all you need to do is pick up the phone and give us a call at 844-784-5865. Let us know when and where you want your Junk Bucket and the ordering process is complete. We will deliver your own personal Junk Bucket to you at the time you requested. Once you have it, simply fill it up at your pace. Take your time, or go fast, either way is up to you! Once you are ready and that bad boy is filled with all the leftover junk from your move. Just give us a shout and we’ll be by to pick it up. Simple as that. 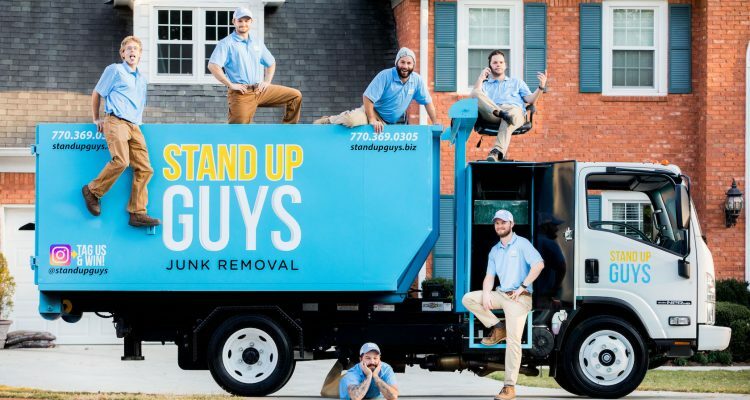 We make sure to take the stress away when it comes to having your junk removed since you have so much else on your plate with moving.